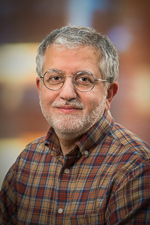 Dr. Alashari is an associate professor of pathology at the University of Utah School of Medicine. He received his MD from Baghdad University College of Medicine, and completed residencies in anatomic pathology and general surgery at New York Medical College, a clinical pathology residency at Yale University, and a pediatric pathology fellowship at the Children’s Hospital of Pittsburgh. He is board certified by the American Board of Pathology in anatomic and clinical pathology and pediatric pathology. Dr. Alashari is a member of several professional societies, including the Society for Pediatric Pathology, the American Society of Clinical Pathologists, and the College of American Pathologists.